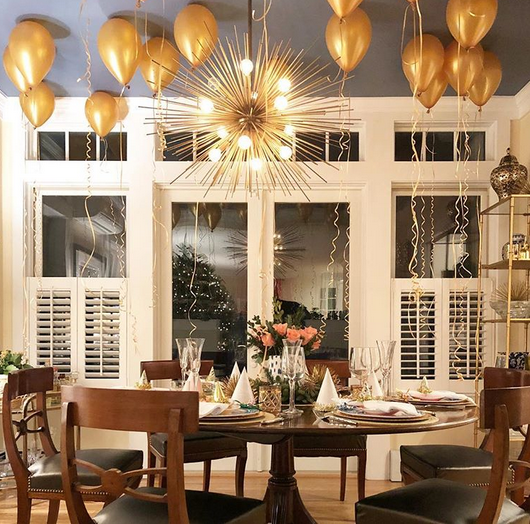 Ten professional and DIY designers offer loads of inspiration for sprucing up your home. 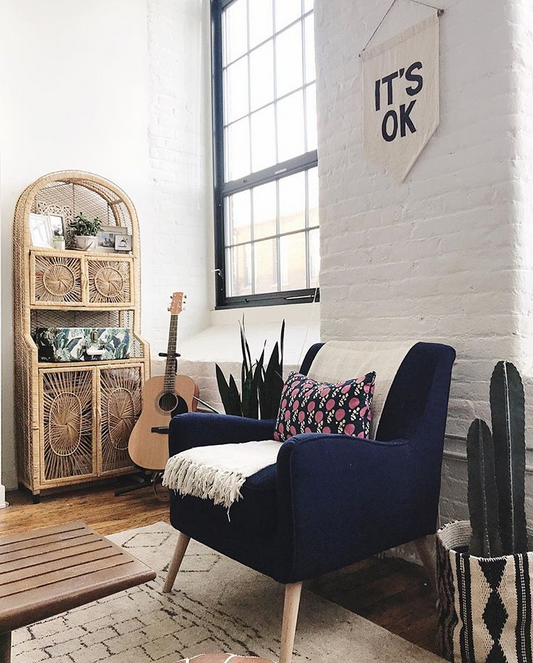 The blogger behind the home decor site, Jeune Amour, Webster has made herself at home in a trendy, bright loft in Providence’s Olneyville neighborhood. Her aesthetic exudes some solid ’70s vibes — think: wicker hutch, a macrame table runner and lots and lots of plants — plus some minimalist influences elevated by a very strong throw pillow game. The style influencer, who has a staggering 109,000 followers and a blog, is based in Newport. In addition to flaunting her fashion sense on her main Instagram page, Kirby turns the camera on her casa for her home account, @thecozyranch. 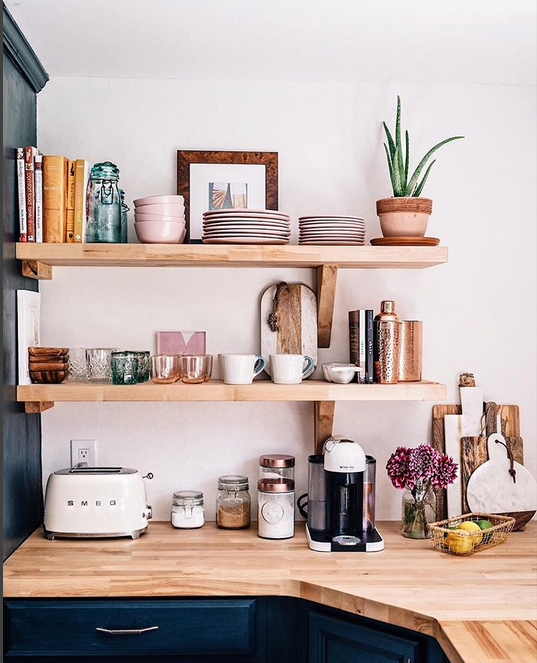 Her aesthetic hits all the style notes of 2017/2018, including a blue velvet sofa, vintage-inspired rugs, open shelving and the requisite Smeg kitchen accessory. 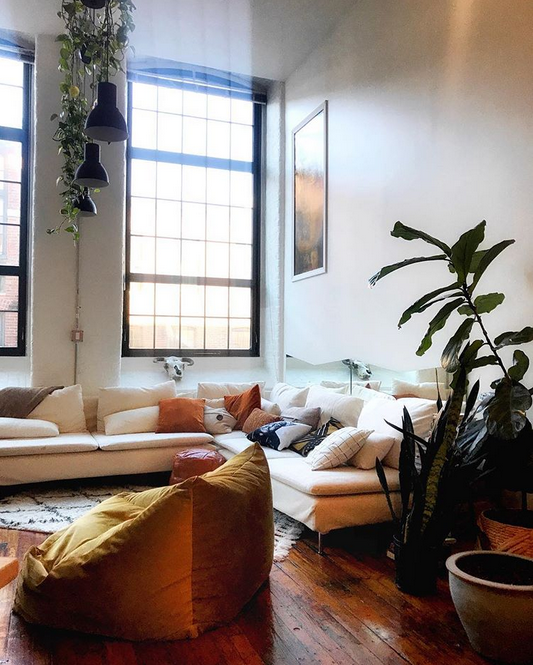 This gorgeous bright loft space in Olneyville, which is tweaked and edited by its occupant, Kara Evans, imbues a bohemian sensibility. Comfortable, functional furniture melds with contemporary art and strategic pops of color — a nod to Evans’s career as a hair stylist at Providence’s Ello Pretty Salon. 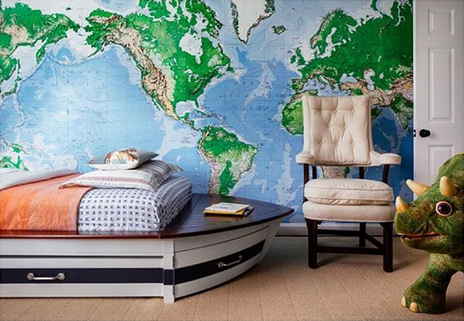 The Newport-based interior design firm, Digs Design, veers towards coastal design, but every so often the Instagram documents a surprising detour, like this bachelor pad master bedroom. 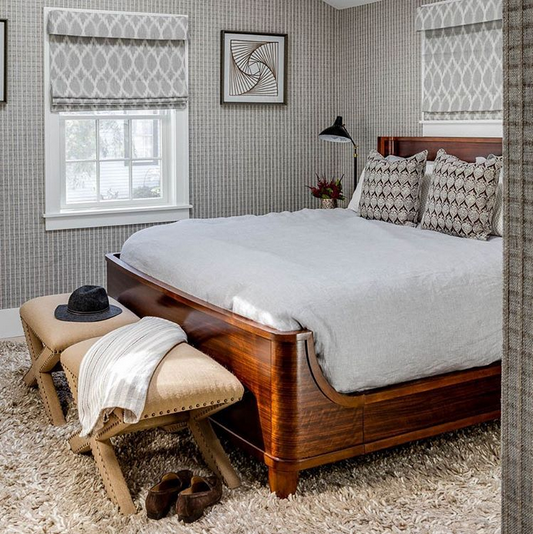 The herringbone wallpaper, combined with the retro shag carpeting, makes for a masculine room that’s cozy and chic. From the Instagram handle, you can probably gather that the couple behind Homo Renovation, Emily and Erica, have a great sense of humor. But, just as important, they’ve got a great sense of style, too. The two purchased a 1920s Lyceum (or gymnasium, for the uninitiated) and they’re transforming it into a cozy abode for themselves, their two dogs, and an in-law. 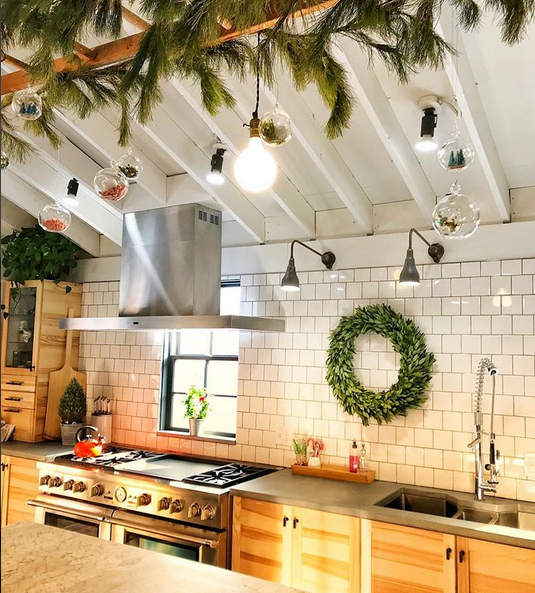 Their personalized design details — including re-purposed elements like a salvaged zinc-topped shop table that’ll serve as a bathroom vanity and an old marquee arrow for living room lighting — add loads of charm to the space. There’s never a lack of whimsy in Kate Jackson‘s interior design work. This child’s bedroom is just one example; unexpected animal prints, pops of color and accessories sourced from antique stores elevate communal spaces with good bones and clean lines. There’s something so seamless about an architecture firm doing its own interior design. DiMauro‘s exterior work is clean and coastal, as is its interior design. 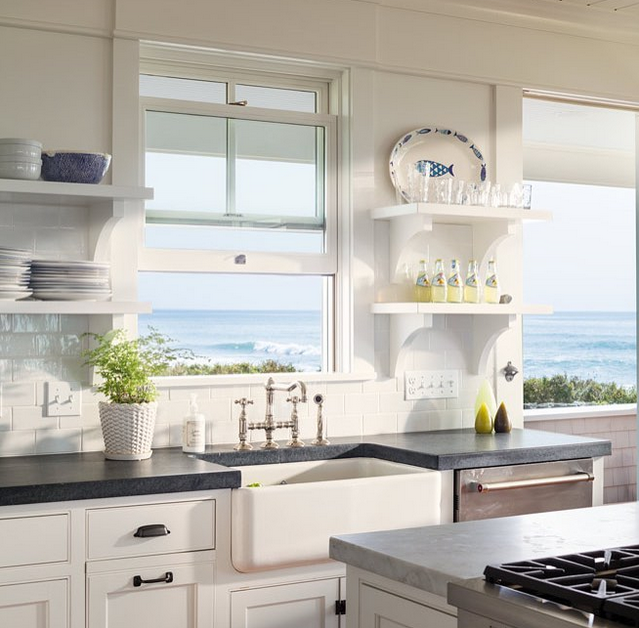 The simple functionality of the spaces is alluring too; it’s easy to picture yourself at the apron sink, hands on the soapstone, gazing out the window towards Warren’s Point in Little Compton. Janelle Blakely, head of the eponymous design firm, stands out for her ability to use color without sacrificing sophistication. 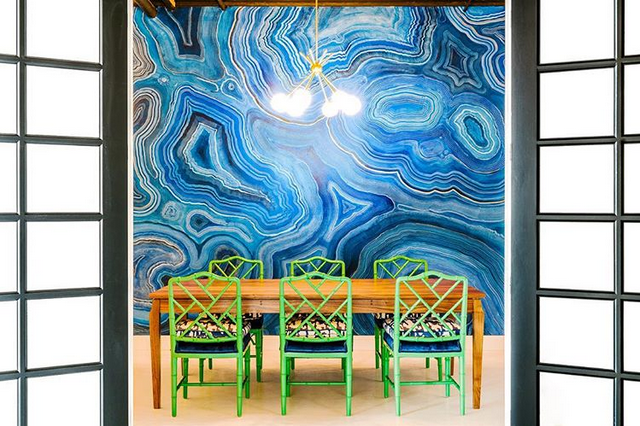 The mural in this dining space, for example, which resembles agate geodes, was hand-painted by artist Deb Sabo. Defying logic, the lime green chairs with printed cushions don’t draw the eye away from the mural. The room is funky and unexpected and, yet, utterly elegant. How do you do it, Janelle? Highpoint Home‘s Kaitlin Smith, an interior designer who also operates a decor shop in Watch Hill, toys with patterns and fabrics like nothing we’ve seen before. The designer, who has a background in fashion, snaps lots of photos around the shop. But every now and then, we’ll get a peek inside her very chic home (just look at that chandelier, those chairs, the gold shelving! 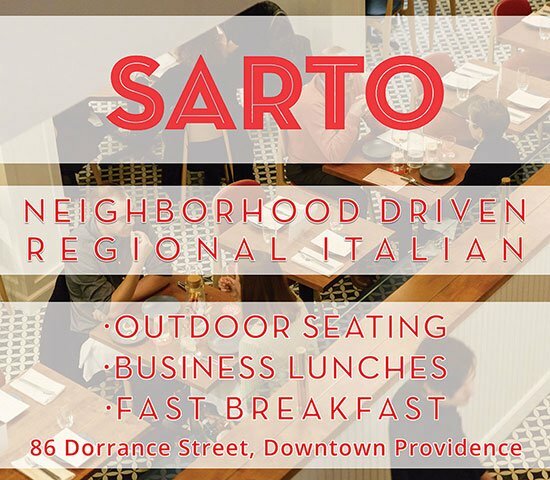 — as well as client projects in and around Westerly. 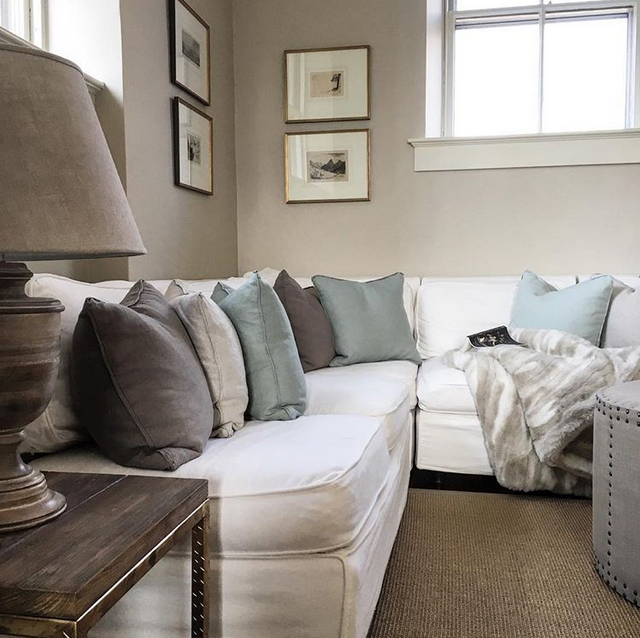 Interior stylist Phyllis Trevor Higgerson works with a more polished, neutral palette, but with lots of luxe textures to warm up each space. Her blog, Henhurst, is photo-rich and looks a bit like an Instagram feed itself. If only all of your friends lived in such carefully curated home; the dinner party circuit would be amazing. Will 2018 Mark Another Strong Year in RI Real Estate?